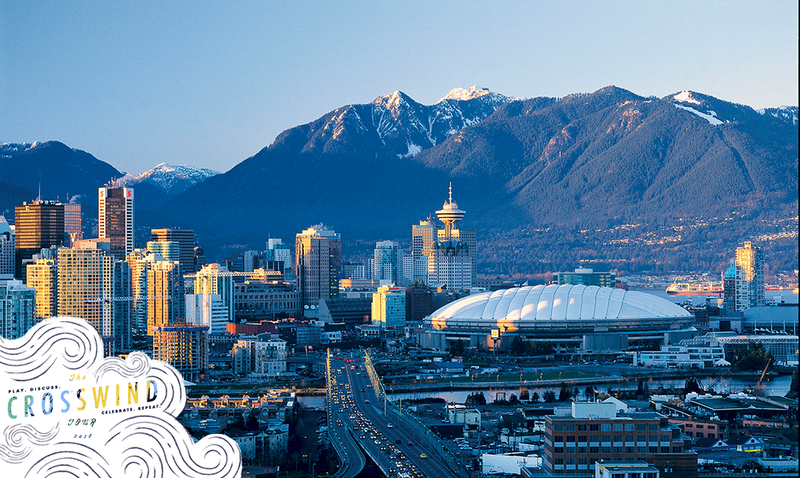 The Crosswind Tour is coming to Vancouver, BC on Thursday, January 4 & Friday, January 5! We'll be starting off The Crosswind Tour in Vancouver with some incredible events built on communication and gender equity. Join our Facebook group to hear first about all of our events! 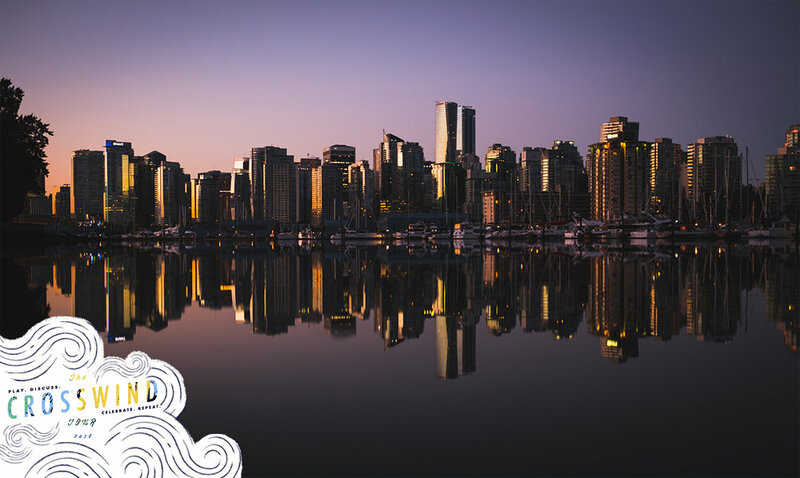 Join us in kicking off The Crosswind Tour 2018 with a good ol’ fashion StorySlam in Vancouver! We have an incredible lineup of storytellers who will be sharing their response to the prompt: "When did gender empower or disempower you on an ultimate field?" Catherine Hui – Team Canada World Games player, coach of UBC. Anja Haman – World Games player, coach of Fable Ultimate. Monica Lee & Daniela Garcia – Leaders In Training, Elevate Ultimate Academy. A $25 gift certificate to The Good Stuff Co.
Upwind merchandise will also be available for purchase, and one dollar of every drink purchased at the bar will go to Upwind. Join us for an evening of community bonding at the Vancouver Womyn's Mixer. We use the term "womyn" to indicate anyone but cis-straight men, which includes female-identifying, trans, and gender nonbinary individuals. This is a FREE event – drinks included! Come schmooze and meet other womyn in the local ultimate community! We'll also be hosting a jersey drive at this event. Got some jerseys collecting dust in your closet? Bring them in and we'll pass them on to youth throughout the rest of the Tour! Did you know that Vancouver has one of the largest public ultimate leagues in the world and a leader in writing their own policy for Trans* and gender nonbinary players?? Let’s celebrate this community and the work they've done in the movement by dancing the night away in the name of love and gender equity! Upwind Ultimate’s vision is to increase the value and visibility of women in ultimate by investing in gender equity initiatives. This event is a fundraiser to power our work on The Crosswind Tour, where we will connect with thousands of people in over 40 cities across North America.